NOTE: This content is old - Published: Wednesday, Oct 26th, 2016. 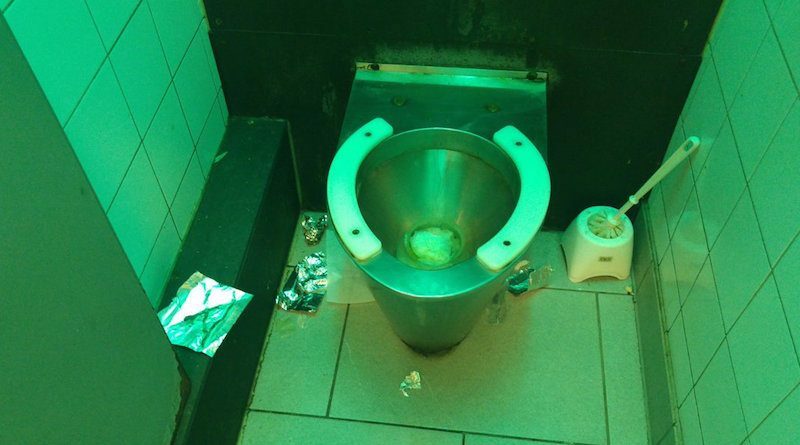 Calls have been made for further action in tackling drug usage in the town centre after discarded paraphernalia was found strewn across a toilet floor in the Wrexham Bus Station. 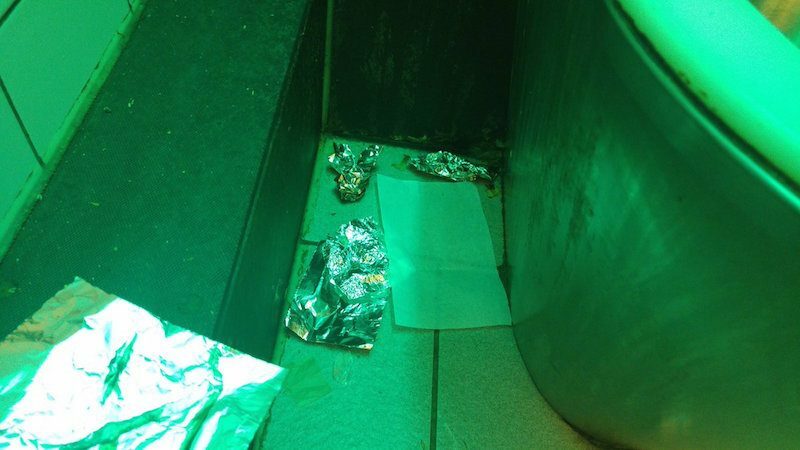 Yesterday Wrexham.com were sent images of the discarded drugs waste which had been found early in the morning in the men’s toilets at the Wrexham Bus Station on King Street. Concern about the safety of those using the bus station has been raised previously, with discarded methadone bottles found in the bus station’s public toilets earlier this year. Issues with discarded drugs waste and alcohol bottles have been ongoing in the town centre for several months, with the subject recently being highlighted by members of the Safeguarding, Communities & Wellbeing Scrutiny Committee. In a report put before councillors at the start of October the impact discarded needles and ‘drugs rubbish’ have on the local community was debated at length. During the meeting members discussed how best to tackle the problem locally and how the local authority, health board, North Wales Police and partner agencies could better work together. Along with drug usage Wrexham Bus Station has also fallen victim to numerous incidents of antisocial behaviour in recent months, prompting North Wales Police to temporarily increase patrols in a bid to stamp out the problems. The action, which was enforced prior to the introduction of the Town Centre Public Space Protection Order, saw officers issue ‘dispersal orders’ to those found behaving antisocially. Ongoing problems with antisocial behaviour and drug and alcohol usage have resulted in several complaints online, with one public transport user telling us that they try to avoid using the station at certain times of the day. However others have stated that a safe place which addicts could use during the day would be beneficial to themselves and also to the wider public. Speaking about the drugs paraphernalia found in the bus station yesterday, Cllr Hugh Jones, Lead Member for Communities and Partnerships, said: “We recognise the importance of this problem and a recent meeting of the Communities and Wellbeing Scrutiny Committee looked at this exact issue, examining the impact of drug litter across the county borough. “Following on from incredibly thorough work undertaken by the Drug Litter Task and Finish Group, which took 11 months to research the issue, the Committee put together a number of very thorough recommendations which will ensure stronger partnership working between all agencies to tackle the problem of drug litter. Read 1,172,258 times in last 30 days, and 74,031,275 times since we started in 2011.